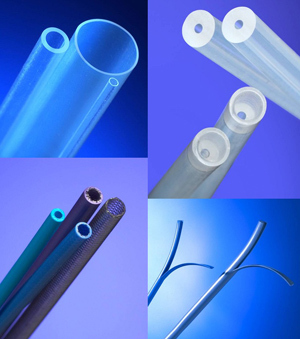 Fluortek, Inc. is a Custom Tubing Manufacturer serving the Medical Device Industry with precision PTFE, Fluoropolymer and Thermoplastic extrusions, and component assembly services. Founded in 1980 by John P. Botti, the company is ISO 13485:2003 certified, with more than 50,000 square feet of manufacturing space in its Easton, Pennsylvania, location. The company offers a high degree of lot to lot consistency, with one of the broadest ranges of products and services in the industry. From R&D runs to full contract production quantities, Fluortek will meet the exacting needs of the medical device manufacturer. We offer one of the broadest ranges of products and services in the Industry. 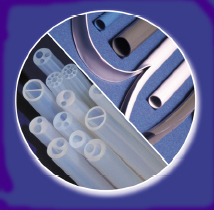 Our production capabilities include PTFE Extrusions, Fluoropolymer Extrusions, Thermoplastic & Bump Extrusions, Secondary Operations, Braid & Spiral Reinforced Catheter Tubing, Component Assembly and Custom Material Compounds. 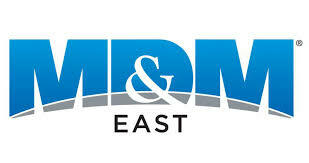 We present a large variety of materials, and Specialty Products. These would include Multi-Lumen tubes, Radio-paque Splittable Sheaths, Ultra Thin Wall Tubing, Monofilament, and Parts Assembly. Our Thermoplastic and Fluoropolymer extrusion departments are equipped with State-of-the-Art machinery. From high quantity to Hi-Tech, our dedication to harnessing technology enables Fluortek to meet the ever-growing needs of the industries we serve. We can provide many combinations of sizes, materials, fillers and colors to suit any demand accurately and repeatedly. 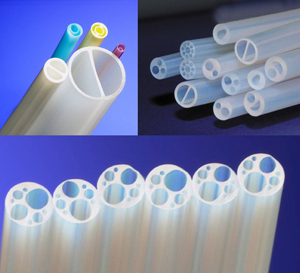 Incorporating the expertise of our in-house tool making staff and our highly skilled technicians, Fluortek can supply the high quality extruded tubing that your process or finished device demands. Our team of Technical Professionals is focused on the demands of the Medical Device Industry. Our staff of Product Development Engineers, and Manufacturing Engineers can provide a multitude of design, process, and application solutions. They can assist in the selection of Medical Grade Thermoplastic and Fluoropolymer Materials. Their areas of expertise expand to include component, sub-assembly, bulk and finished device development. 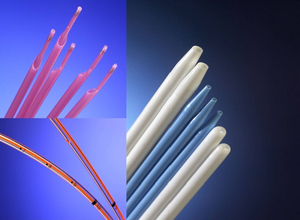 Our facility can provide a wide range of tubing products to complete your medical device needs. From Conceptual Design through Production, we offer creative ideas and solutions to expedite the process of your project. Our Goal is to provide the products and services needed to drive your company’s growth. For more information contact Fluortek Inc.